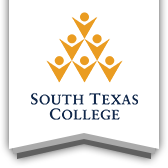 South Texas College endeavors to provide and maintain a safe and healthy environment for students, employees and visitors. When an individual violates the student code of conduct, exhibits behavior that is overly aggressive or threatening to others, it is disruptive to the mission of the College and may be indicative of future and potentially escalated threats to the College community. Parties submitting a report may submit an anonymous report using the Student Conduct Incident Report Form – SCIRF (For Complaints Against Students). However, due to the nature of many of the reports, federal regulations under Title IX, the Clery Act, Violence Against Women Act (VAWA), and the Campus Sexual Violence Elimination Act (SaVE) parties are encouraged to provide their contact information to ensure an appropriate response to their concerns and to ensure that all necessary steps can be taken to insure the health and safety of all members of the South Texas College community. This allows the College to provide you with information about the outcome of your report and to provide victims assistance information when appropriate. The Behavioral Intervention Team at South Texas College is a highly trained panel of professionals advancing campus safety and collegiality for the South Texas College Community. The Behavioral Intervention Team at South Texas College is a district wide threat assessment and behavioral intervention team that monitors threats to the campus community and intervenes in the concerning behaviors of all individuals who work at, attend, or who have business with South Texas College. The Office of Student Conduct, when deemed appropriate may request that the Behavioral Intervention Team complete an evaluation of an individual’s case and assign a threat level. The Behavioral Intervention Team has several tools at their disposal from which they may choose. The threat assessment may be used in determining risk factors, as well as a means of developing an overall treatment plan for the individual. Note: Threat Assessment is never used in isolation when determining a student’s ability to remain on campus. The Office of Student Conduct uses all available information, and endeavors to make the most informed and fair decisions when making a determination to remove an individual from or allow an individual to remain on campus. For more information visit South Texas College Behavioral Intervention Team. The acronym C.A.R.E. stands for Collaboration, Assistance, Resource and Education. The South Texas College C.A.R.E. Team is a collaborative team of professional dedicated to assisting students in achieving their education goals. The members of this team combine their knowledge, experience, and commitment to design an individualized educational program to meet the needs of the student, and assist with their development throughout their educational programming. The C.A.R.E. Team works collaboratively to assist students who are referred from the Office of Student Conduct. The C.A.R.E. Team provides a host of services ranging from social and mental health to referrals to community resources in an effort to assist students in their development, maturation, and matriculation. The C.A.R.E. Team works collaboratively with the Office of Student Conduct to implement customized strategies and interventions to meet the needs of the individual. For more information visit South Texas College C.A.R.E. Team.